​Have you ever spent a long time finding exactly the right words to use for your content? Maybe you were trying to find that perfect phrase for your homepage, captivating opening to a blog post, or genius sales copy for a new landing page? What do I mean by copy? Content creators write copy in many different ways all the time. If you have a website, then you have written copy for it – and copy is SO important. Think about how important the words that you use are on your homepage, your 'about' page, your products and services pages. In fact, copy is the most important part. It doesn’t really matter how good a website looks if it doesn’t use the right words to communicate the right message to your audience. 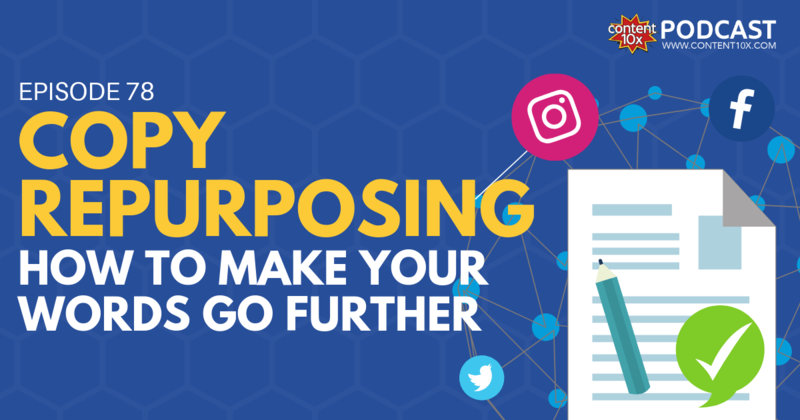 You also need to come up with great copy for your blog posts, your social media posts, landing pages and sales pages, podcast and video show notes…the list is never-ending! When creating effective copy, it is important to invest time and effort. Your goal is to choose the right words, and communicate in such a way, that your audience stop scrolling and engage with you! If writing effective copy isn't something that you like doing or you aren’t skilled at doing, then consider investing in a content writer or copywriter that can help you. Great copy is all about connecting with your reader. And connection leads to conversions, leads and sales. Words can be extremely powerful. But by choosing the right words you can tug on people's emotions​ and push buttons. Brilliant copy can even inspire people to take action. I think everyone can appreciate the power of words because there are very ‘blah’ ways of saying something, and very powerful ways of saying the same thing. This difference can make or break the effectiveness of a sales funnel or similar. 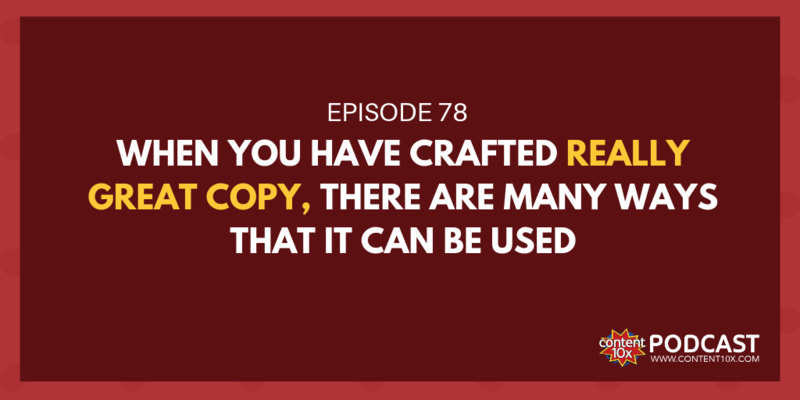 When you're creating copy you have to truly understand your audience. I did an exercise recently with my mentor Chris Ducker where I had to dig deep and really understand my avatar/ideal client. What is stopping them and how can I solve their problem? Answering these questions really helped me to review my copy. And, therefore, work out if I was talking to my audience in the right way. Therefore, I really recommend taking time to understand your ideal client, it helps you work out what language to use when creating content. I recently listened to Ray Edwards being interviewed by Michael Stelzner on the Social Media Examiner podcast where he shared eight helpful copywriting tips. I really recommend giving this a listen or reading the show notes. My friend Janet Murray has some brilliant resources on writing effective sales copy, she also offers a course that you can find on her website. Digital marketer also provide plenty of resources and paid courses on digital copywriting. In addition, I also recommend StoryBrand by Donald Miller. Donald’s book is great! He also has a podcast and if you want to go further there are courses and events all on crafting the perfect message. These are just a few of the many resources available to you to help you write your copy. My point is, your words are important and they make a big difference. It took lots of time but now the benefits of that time and effort have been realized. But, have they been realized to their full potential? There are so many places that your great copy can be used again and again. Are there phrases and paragraphs that you can use in an email? Could you take some of those phrases and use them in a blog post, or in your social media posts! Perhaps you could you update your LinkedIn profile? Are you creating a sales page and that perfect headline could also be used on your sales page? Maybe you’re even developing some brochures and flyers and the copy from your website would be perfect for them. 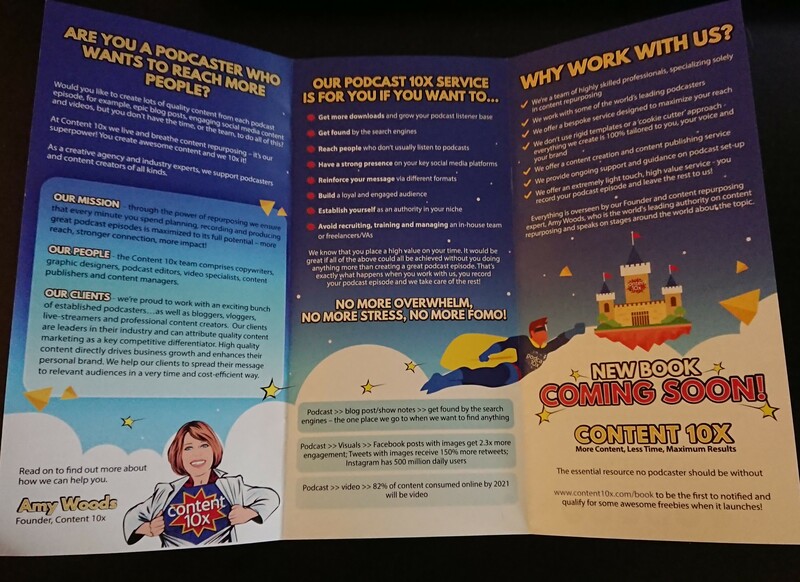 For example, at Content 10x we recently designed a leaflet for our stand at Podfest Multimedia Expo in Orlando. I used the output from my avatar exercise with Chris Ducker to write copy for the new leaflet. I then went and reviewed lots of section of my website and updated the copy – using the copy from the leaflet. Subsequently, I went and used the copy on my LinkedIn profile. ​Turn your spoken content into written content and then look at all the places you could use that. For example, you just recorded a podcast episode with value-bomb after value-bomb. Don’t let those value-bombs get lost. Maybe, they would make brilliant social media posts. Similarly, your video and podcast content can benefit from great written copy too – weave those wonderful words into your scripts and let them shine on camera/as audio. ​So, if you have written great copy, use it as many times as you can where it’s appropriate to do so. When you develop great copy, don’t confine it to just one instance. Think so much bigger. You don’t have to come up with new words all the time. To help yourself out, make a repository of phrases from great copy you've written and refer back to it when you're creating content and looking for the right words. You could be sitting on a treasure trove of amazing copy. Chances are, a lot of the time, we’ve said it before!